I am not a member of a “Warren Buffett cult” that thinks Warren Buffett is an investing God. I admire Warren Buffett for the right reasons. 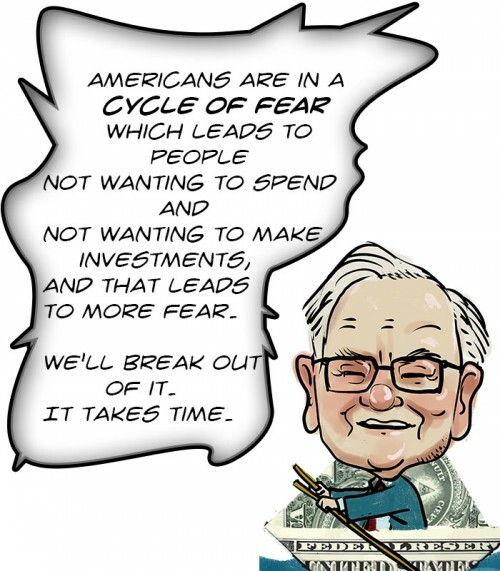 I will explain why I am a big Warren Buffett fan in a little bit. For four of the last five years, Mr. Buffett has been doing worse than the typical, no-frills Standard & Poor’s 500-stock index fund — so much worse that it’s unlikely to be a matter of a string of bad luck. Mr. Buffett has begun to behave like an investor with no alpha at all. Both sobering facts — Mr. Buffett’s long-term outperformance and his recent stretch of mediocrity — appear in high relief in the analysis conducted by Salil Mehta, an independent statistician with deep experience in Washington and on Wall Street. I don’t know Salil Mehta but I know that you shouldn’t use statistics to calculate an investor’s or strategy’s alpha. It is very well documented in the finance literature how to calculate alpha and beta. You need to use econometrics -or a regression analysis-, not statistics. The term “alpha” actually comes from the intercept in the regression equation that is used to calculate, well, the alpha and betas. If you don’t use the correct methodology, then you may end up with wrong conclusions. Salil Mehta concluded that Buffett couldn’t beat the market recently and “everybody else should just use index funds and not think about trying to beat the market”. This is the wrong conclusion that will cause investors leave a ton of money on the table. I will tell you why. First, let’s explain the concept of alpha in plain English. Alpha is a measure of an investor’s ability to generate returns without assuming any risk. Last year, an investor would have returned about 30% by investing in a basket of publicly traded stocks. However, this investor assumes the market risk by doing so and generates a total alpha of ZERO. On the other hand a hedge fund manager with zero market exposure can underperform the market yet generate a huge amount of alpha. Let me give an example. Michael Castor of Sio Capital is one of our most favorite hedge fund managers. We named him the best hedge fund manager of 2013 because he had a net market exposure of around zero percent in 2013, yet he returned 21%. Castor underperformed the market but he has generated an enormous alpha of around 20 percentage points. Why is this important? Because alpha is independent of market returns. Michael Castor would have done as well as he did even if the market haven’t generated a monster return. For instance S&P 500 index returned less than 2% in the first three months of 2014. Sio Capital’s net return was 19% during the same period. I hope that you now know that generating alpha and outperforming the market are different things. Basically an investor who has a large cash hoard may have a large alpha and underperform the market at the same time. We need to take a look at risk-adjusted returns, not raw returns, to determine whether a fund manager is talented. Everybody knows that Warren Buffett carries a huge amount of cash in Berkshire’s portfolio all the time. Looking at Berkshire’s book value isn’t an optimal way of analyzing Buffett’s alpha. There is an easier and better way. We can take a look at Buffett’s stock picks as they are disclosed in 13F filings. If Buffett has indeed lost his mojo as claimed by Mehta, the risk-adjusted returns of his stock picks shouldn’t be better than no-frills index funds. We downloaded and processed Berkshire’s 13F filings starting November 14, 2007. We constructed a portfolio of stocks composed of the stocks that are in Berkshire’s 13F filing, and each stock is given a weight proportional to the value of each position in Berkshire’s 13F filing. We include each stock in the portfolio approximately 2 weeks after the 13F filing deadline so that we have enough time to process these filings. Buffett doesn’t make dramatic changes in his portfolio from quarter to quarter, so the performance of this portfolio is very representative of Buffett’s actual stock picking ability. Our analysis covers the 5 year period between 2008 and 2012. This is a long enough period to arrive at reasonable estimates of Buffett’s alpha and beta. More importantly this analysis takes into account the huge market declines in 2008 and allows us to see how Buffett’s stock picks performed in a very harsh market environment. Warren Buffett’s entire 13F portfolio returned an average of 0.78% per month between 2008 and 20112. S&P 500 Index returned an average of 0.29% during this period. This means Warren Buffett’s stock picks recently outperformed the market by 6 percentage points per year. Which is a better alternative: imitating Buffett’s stock picks or imitating the 500 stocks picked by the S&P division of McGraw Hill Financial (MHFI)? We need to adjust for risk to answer this question? We used Carhart’s four-factor model to calculate Warren Buffett’s alpha. According to our calculations Warren Buffett’s stock picks generated a monthly alpha of 0.39%. This means Mehta was wrong when he claimed that Buffett lost his mojo and can’t generate any alpha recently. Buffett knows how to invest in the stock market better than most hedge fund managers. One shouldn’t forget that Buffett’s 13F portfolio is larger than $100 billion and many of the stocks in his portfolio were bought several years ago. It is amazing that Buffett generated a huge amount of alpha by picking stocks like Wells Fargo (WFC), Coca-Cola (KO), and American Express (AXP). By the way, American Express returned more than 800% since March 9th, 2009. Warren Buffett isn’t a new kid on the block. He was advocating value investing when Nobel Prize winner Fama wasn’t aware of the fact that value stocks historically outperformed the rest of the market. Warren Buffett deserves the Nobel Prize in economics more than Fama deserves it. Our conclusion is pretty straightforward. Markets aren’t efficient and our good old Buffett can still beat it by an average of 6 percentage points and generate an annual alpha of close to 5 percentage points by investing in some of the biggest stocks that trade in US markets. Investors should avoid index funds whenever they can (index funds are great options in 401k plans offered by employers when employees aren’t allowed to trade individual stocks in these accounts) and instead they should imitate Buffett’s stock picks. If they have done this over the past 30 years (or 20 years, or 10 years, or 5 years), they could have outperformed the market by a very large margin.